The factory diverter valve found on these cars has two distinct issues – reliability, and performance. Oh yeah, it also doesn’t make any noise! Here’s how the VTA addresses these problems. Sound – The VTA, as its name suggests, vents the air to atmosphere for maximum “whoosh” noise when you lift off the throttle. On the Focus RS, there is no MAF sensor and hence no drivability or fuelling issues when venting to atmosphere. The Pumaspeed Workshop team are ready to fit the GFB Focus RS Mk3 VTA in our Head Office located here. Therefore making parts and labour a total cost £209.39 (inc. VAT). 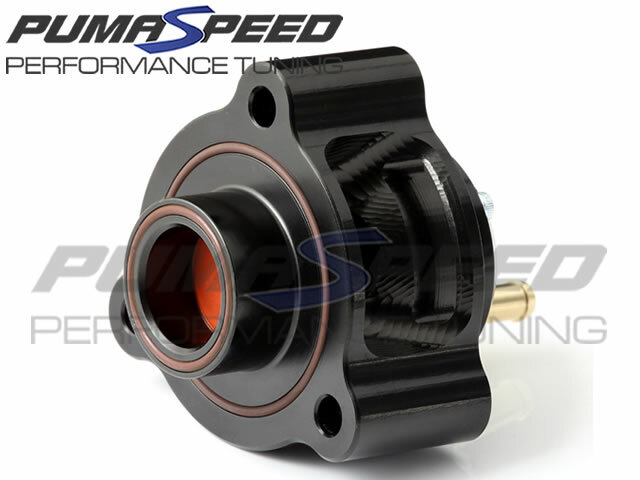 Pumaspeed have a specialist distribution team that can dispatch the GFB Focus RS Mk3 VTA to any destination worldwide.